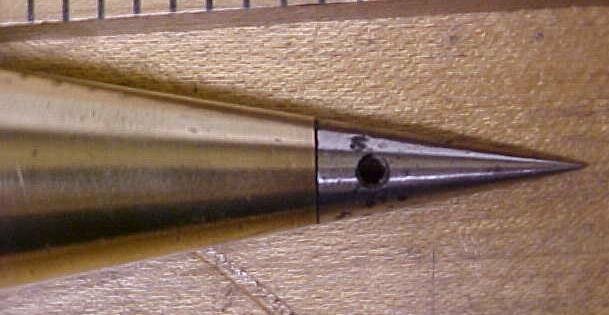 This is a very rare, very nice clean antique plumb bob marked "G. W. LEACH" on the top thread cap section. This is an unknown maker to us, not sure where it was made, but it could also be the name of the surveyor that owned it at one time. I have never seen another plumb bob with this name on it. This one is 6" long, 16 ounces, 3 pieces, with a good steel tip, both ends are thread, good threads. The steel tip has just a little pitting on it, but not at the point. The neck area is threaded at the flair of the plumb bob, or in other words that nech piece is 1.25" long plus the threaded part. It's in nice shape! Some tiny dings noted, otherwise minor wear. The neck is 1.25" long x .56 diameter. A very hard to find collectible plumb bob! 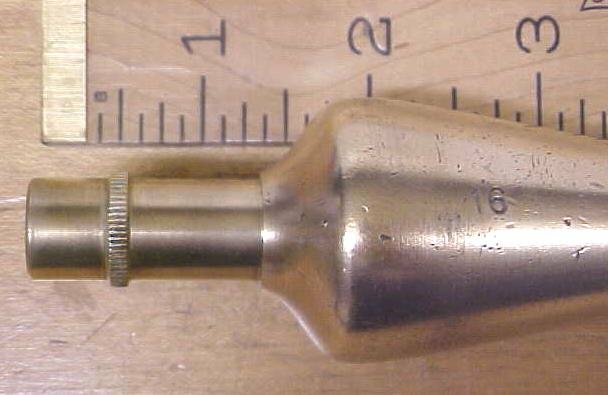 Items Similar To "G. W. Leach Plumb Bob Brass"